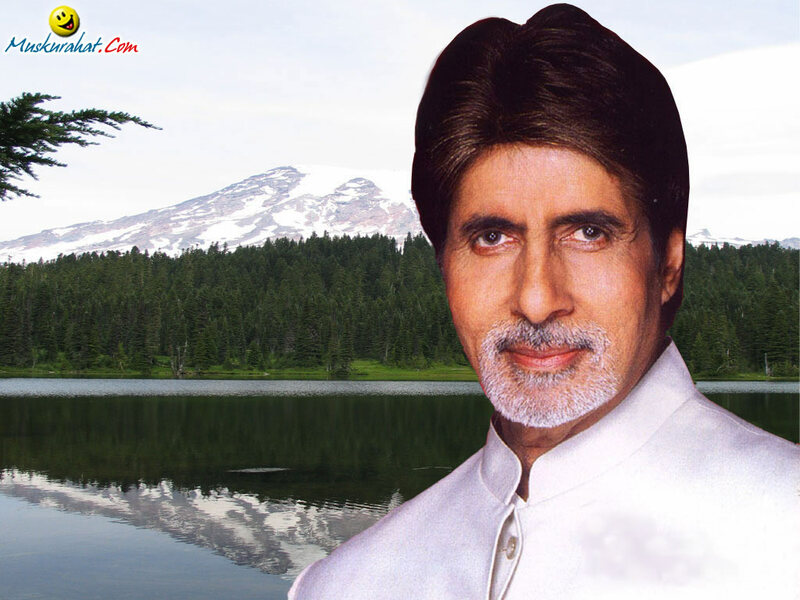 This page have complete Amitabh Bachchan biography and Amitabh Bachchan information. How Amitabh Bachchan started his career. When he got success in it. 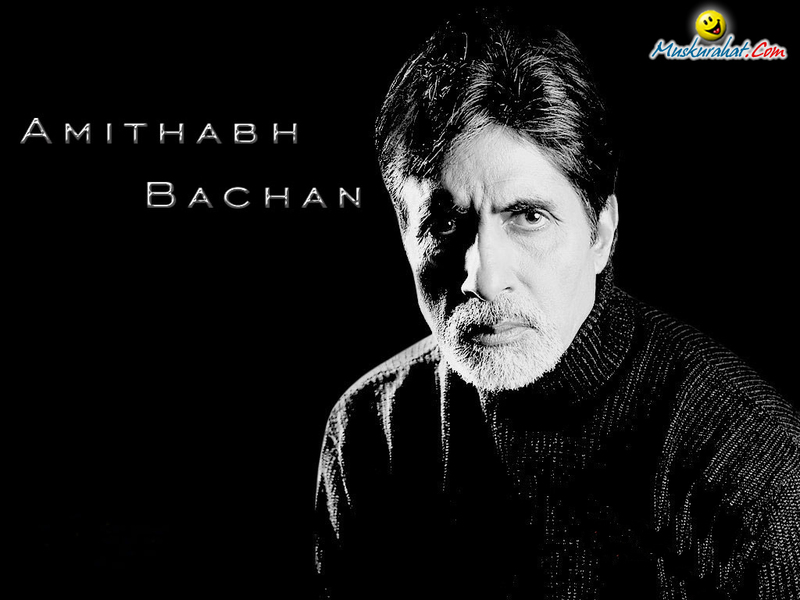 There are complete details about Amitabh Bachchan life and events. 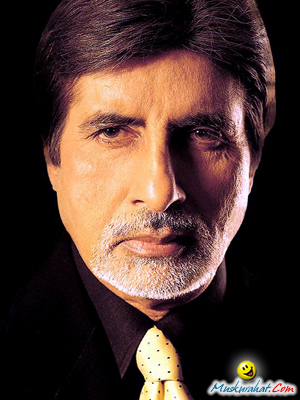 The trademark deep baritone voice, the tall, brooding persona, and intense eyes, made Amitabh Bachchan the ideal "Angry Young Man" in the 1970s, thereby changing the face of Hindi cinema. 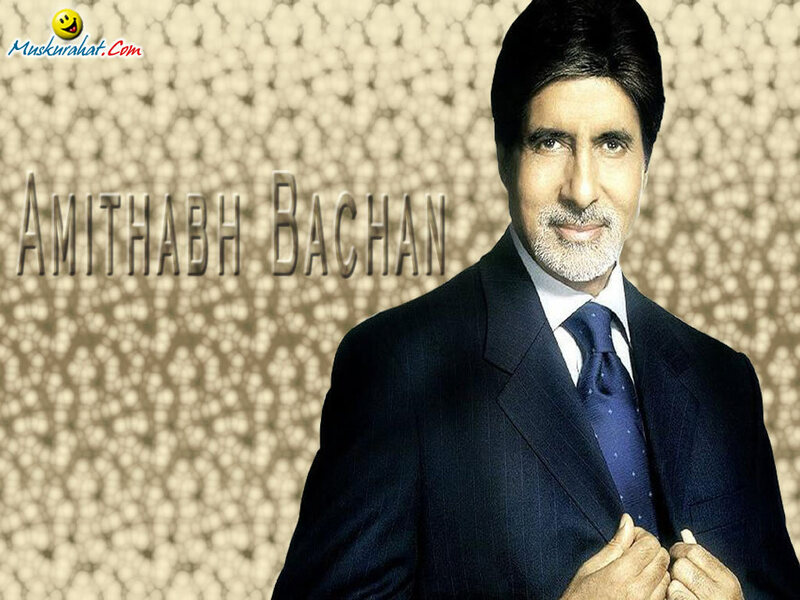 The son of the late poet Harivansh Rai Bachchan and Teji Bachchan, Amitabh Bachchan was born in Allahabad in Uttar Pradesh. After completing his education from Sherwood College, Nainital, and Kirori Mal College, Delhi University, he moved to Calcutta to work for shipping firm Shaw and Wallace. 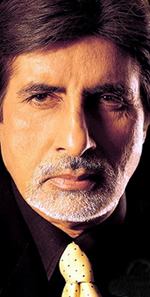 Later, Amitabh Bachchan moved to Bombay and struggled for a while to get his foot in the door of the Hindi film industry. The lanky, dark, and intensely brooding persona did not go down well with directors who were looking for wise-cracking, fair, loverboys - the trademark of the Indian hero in the 1960s. Starting with the low key Saat Hindustani, Amitabh Bachchan struggled through many roles and was relegated at times to doing voice-overs and in one instance playing a deaf-mute (his deep baritone voice might have overshadowed the other actors!). Amitabh Bachchan broke through with Zanjeer (the Chain) in 1973 playing opposite his real-life love interest and future wife Jaya Bhaduri. His persona seemed apt for the 1970s, capturing the resentment of underemployed youth and the increasing cult of violence. Amitabh Bachchan reworked the image of the Hindi film hero with major hits like Deewar, Sholay, Trishul, Don, Kala Patthar, and Shakti. Adapting former screen idol Dilip Kumar's mannerisms and adding his own flamboyance, he popularized the violent melodrama. Amitabh Bachchan proved that he had an equal flair for tragedies (Deewar, Muqaddar Ka Sikandar, Shakti) and comedies (Chupke Chupke, Don, Naseeb, Amar Akbar Anthony) as well. His most memorable performance was as the renegade against a harsh society in Deewar. After Amar Akbar Anthony in which he reveled in the role of the Cathlolic bootlegger - he played similar "masala" roles, movies that required action, comedy, tragedy, and romance in one character. This had disastrous consequences later with movies disintegrating into Amitabh Bachchan variety shows rather than plot-driven stories. 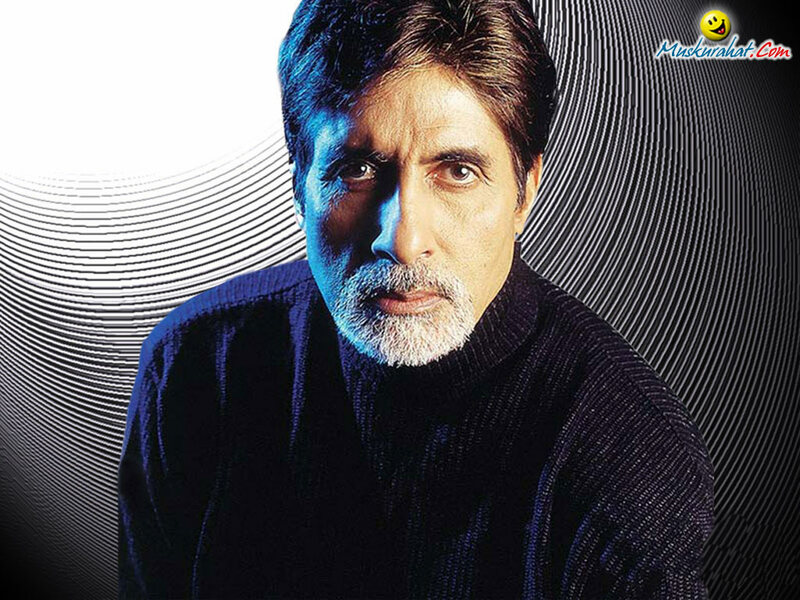 Bachchan was dubbed the Superstar, taking over that title from Rajesh Khanna, something he hung on to until the mid 1980s when the floor widened after his temporary departure. At the height of his popularity he was injured in an accident while shooting for the film Coolie - long lines of people prayed for his recovery at the Breah Candy hospital, underscoring his megastar status. 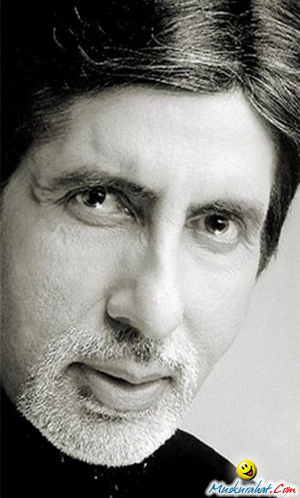 BAmitabh Bachchan left_inner films in 1985 to become a Member of Parliament from Allahabad constituency as a Congress party candidate, as a favor to his family friend Rajiv Gandhi - the new Prime MInister of India. A report of involvement in financial irregularities (of which he was completely cleared later) made him decide to step down as MP. His return in 1987 was lukewarm as the Hindi film industry had moved on and newer, younger heroes essayed the part of Angry Young Man with more conviction. Amitabh Bachchan seemed to have lost his heart in making films as his later roles did not show the flicker of passion that had marked earlier efforts in the 1970s. In 1989, for the first time since 1976, three of his films were flops i.e. they could not recover their money (in the Hindi film industry a flop is a film that does not recover a distributor's price, not the producer's cost). A series of lackluster films in the 1990s pointed to a long overdue exit, common to many other stars. A seemingly well-thought out venture to start a production company ABCL landed him in immense debts. Astonishingly, Amitabh Bachchan burst back with a double act: one, playing the stern patriarch (the kind against which he had rebelled in the 1970s but which role was suited to his gravelly voice), and two, reinventing himself as a brand that in turn, could market anything. He began the latter by hosting the Indian version of Who Wants to Be a Millionaire (Kaun Banegaa Crorepati) and is now back in demand for endorsements, advertisements as well as many movie roles. 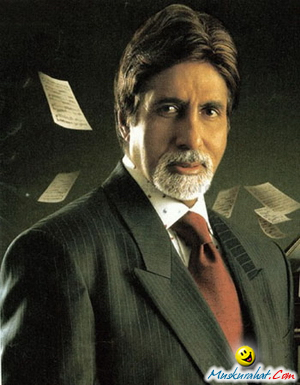 At sixty plus, Amitabh Bachchan is a greater icon than he was at the height of his popularity three decades ago. His son, Abhishek is considered a talented actor who has not yet broken out as a star.